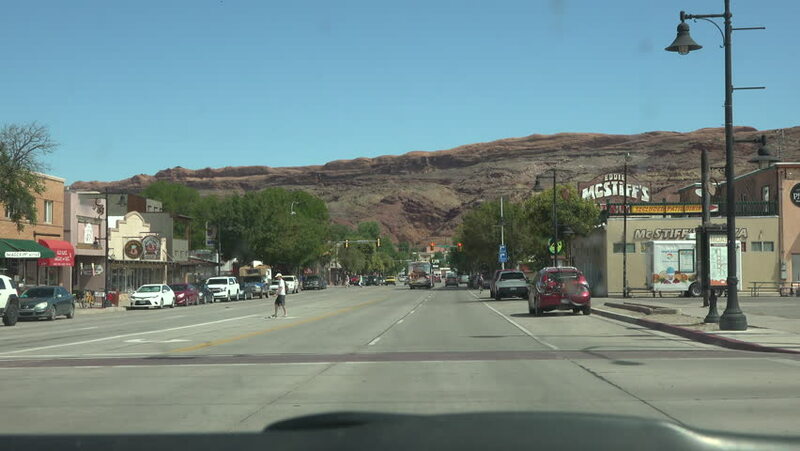 MOAB, UTAH - JUL 2015: Downtown Moab Utah drive POV 4K. Point of view. Famous for red rock scenic landmark and recreation destination. Over 2,000 natural sandstone arches, including Delicate Arch. 4k00:10CLACTON-ON-SEA, ESSEX, ENGLAND - 1ST JUNE 2015: Cars drive along a road and cross a pedestrian crossing in an English suburb. 4k00:15FALTICENI, ROMANIA - November 2018 : Romanian city street life with people passing. 4k00:09TORONTO, CANADA - CIRCA JUNE 2015: Pedestrians cross and streetcars pass at the busy city intersection at College and Spadina Avenue with the CN Tower in the background, in Toronto, Canada.